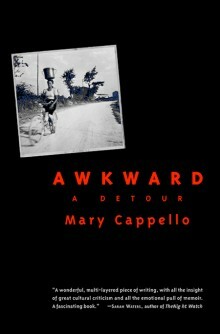 Congratulations to Mary Cappello, author of Awkward: A Detour, who is a recipient of the American Academy Berlin Prize! Mary Cappello, author of Awkward: A Detour, discusses her work with Propeller magazine. Mary Cappello is the author of four books of literary nonfiction, including Awkward: A Detour, which was a Los Angeles Times bestseller, Called Back: My Reply to Cancer, My Return to Life, which won a ForeWord Reviews Book of the Year Award and an Independent Publishers Prize, and Swallow: Foreign Bodies, Their Ingestion, Inspiration, and the Curious Doctor Who Extracted Them. 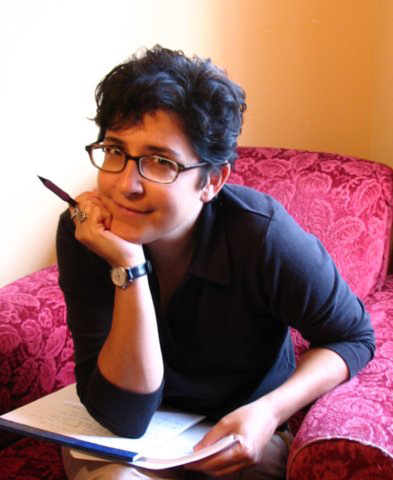 Her work has been featured in the New York Times, Salon, Huffington Post, NPR, in guest author blogs for Powell’s Books, and on five separate occasions as Notable Essay of the Year in Best American Essays. She is the recipient of a Guggenheim Fellowship in Nonfiction, The Bechtel Prize for Educating the Imagination from Teachers and Writers Collaborative, the Dorothea Lange-Paul Taylor Prize from Duke University’s Center for Documentary Studies, and the American Academy Berlin Prize. Professor of English at the University of Rhode Island, she lives in Providence, Rhode Island and Lucerne-in-Maine, Maine.